We love jokes and riddles at my house. Recently I wrote about elephant jokes, and when my daughter came home with this new one, I knew it was time to add another post about the benefits of jokes and riddles to Intentergy. The humor found in silly jokes adds much-needed happiness to our stressful days. They provide us with innocent joy and make us laugh. Laughter is good for the heart and soul. Q. “What type of dog can tell time? It is easy to say, “Tomorrow is another day,” or “Cheer up. It could always be worse,” but we know those thoughts don’t defeat the dreariness in some cases. The best medicine for a case of the blues is to treat yourself though kindness or charity. Doing something kind or generous can be the first step in kicking cloudy thoughts to the curb. Not only will your actions help someone else have a better day, but you will quickly find that your friendliness has the same infectious inclinations that the bad days bring. One kind act makes is a lot easier to motivate ourselves to feel accomplished and lovable. What’s Wrong With a Dictionary? As I am apt to do, I recently shared a photo with my class of something cool that happened at my home. To my shock and dismay, two of the students paid no attention to the awesomeness I was trying to show them and were fixated on the idea that I have a dictionary lying around on my counter. The dictionary was in the background of my photo and clearly not the focus, but the class discussion quickly shifted to my frequent use of a dictionary. “Oh, it’s just because you’re a teacher,” they said. “Just look it up on your phone,” was another’s contribution to the discussion. “I am too stupid to use a dictionary,” was the statement that broke my educational camel back. I reminded my students that they are in COLLEGE now. They surely must possess some intelligence and understanding of how to use the resources that are available. We went on to identify times in their lives when they sought knowledge and successfully found what they needed to gain that information. If nothing else, it was a lesson in self-esteem. 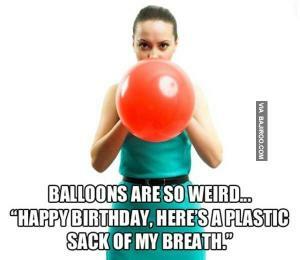 What is it about balloons that makes kids crazy? My kids will fight tooth and nail for a balloon. Even deflated, non-floating, sad, little balloons are cause for World War III in our house. I like balloons as much as the next person, but, seriously, what is it about balloons that makes kids batty? The balloon in this photo is from a wedding we had the honor of attending on New Year’s Eve. That was 6 days ago!!! It is still reeking havoc on my home. I can’t bring myself to pop it yet. The night was so wonderful and my kids so love this silly balloon. What is it about balloons? There must be something behind the idea of a shiny object that can fly or float on air. Maybe it is the bounciness of the balloon or its ability to take on new shapes as it is twisted, knotted, blown up, or deflated. Perhaps it falls into the old adage of the simplest things in life bringing the most joy. I have found three ways to combat the balloon battle. Pop the stupid balloon in front of my children and hear them scream. Find two more balloons so that they all have one. Wait until the kids go to sleep or school, deflate the beastly balloon, hide it in the bottom of the trash can, and pray they never remember the precious party favor again. Whatever it is that makes you and your family crazy, I hope you are able to resolve the issue without the whole “pop the balloon and hear them scream” scenario. Seeking solutions to the problems in our relationships should have positive options. I am not sure hiding the evidence in the bottom of the trash can is the best solution for most problems either, but maybe offering a compromise of sharing or more “balloons” in the form of opportunities is the way to work things out. As you love those in your life, accept their idiosyncrasies (i.e. balloon obsession) and find ways to keep peace, have fun with positive energy, and dedicate intent to grow from your battles and compromises. P.S. No balloons were harmed in the writing of this post. Many of us begin our spring cleaning as soon as the New Year’s ball drops. We start cleaning out our closets, coat pockets, garages, and storage tubs. We make resolutions to clean out our bodies and clean up our acts. With those resolutions we need to work on toxic clutter removal as well. To most of us clutter is made up of piles of old clothes, magazines, or books. Maybe your clutter has amassed itself on your dresser or in the catch-all drawer in the kitchen or the depths of the back seat of your car. wherever it is; the clutter is growing.